SKYR, or as the Icelandic locals pronounce it “skeer” is said to be one of Iceland’s most traditional cuisines. Brought to Iceland by the Norwegian vikings when they first settled in the 800s and even though the skyr tradition died out in most of Scandinavia, it lived on in the Icelandic culture – and we have been enjoying it to this very day. Believe it or not – The way that Skyr is produced makes it actually a cheese, not a yogurt! It was originally made from Raw milk, which is milk that hasn’t been Pasteurized (the process that kills the bacteria in the milk.) Thankfully, we’ve update our skyr-making-method and now use pasteurized skimmed milk – making it a lot more healthy… and TASTY! 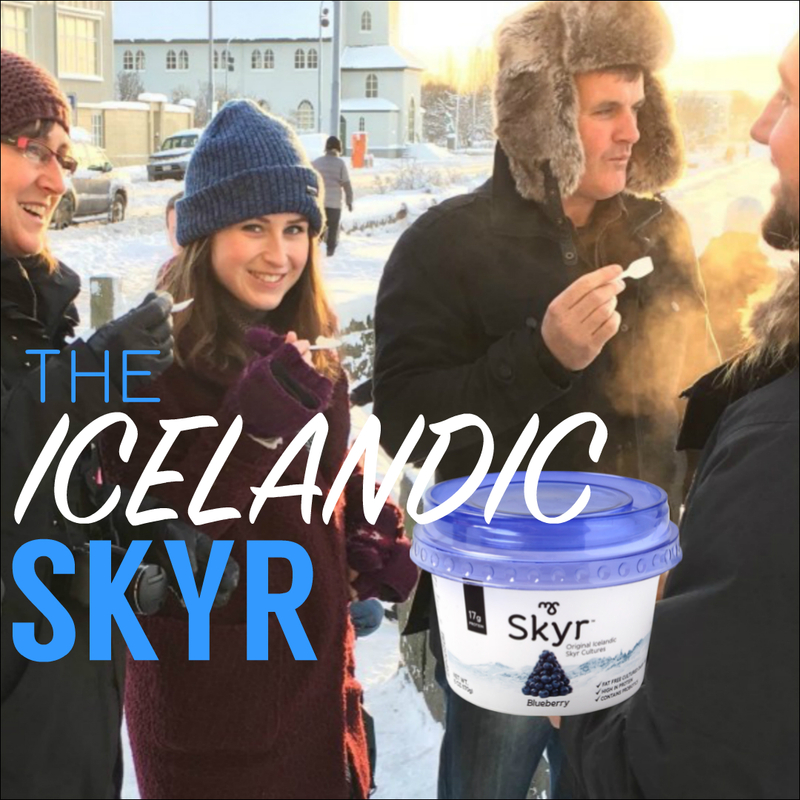 Skyr is very high in protein, calcium and vitamins but also low in fat – resulting in it sometimes to being called ‘Iceland’s secret to healthy living’. What does Skyr taste like? Today’s Skyr which has a smooth and creamy thick texture can be found in a variety of flavors. Ranging from plain flavored – to ‘baked apples flavored skyr. The plain skyr has a bit of a sour taste to it, similar to greek yogurt. While the flavored skyr has a sweeter taste and is a more common day-to-day snack for your Icelander. Where can I get Skyr in Iceland? Well, you’re in luck! Skyr can be found in a variety of places. You can pay ANY local grocery store in Reykjavik a visit, stop by at any gas station or you can join Iceland’s #1 Rated Food Tour, The Reykjavik Food Walk .. Where you’ll not only devour Reykjavik’s tastiest traditional cuisines but also enjoy a delicious Skyr Tasting with your friendly local foodie guide and a group of fun like minded travelers.